Remember, Thou art Muggle – Love. Life. Practice. When we talked about the keys to self-compassion, the second one was about remembering your common humanity. That flies in the face of the narratives we love, which are full of Chosen Ones and True Whatevers and Ultimate Destinies. Spyros Makridakis, co-author of the excellent book Dance with Chance: Making Luck Work for You (which I read via Scribd) has a way to help remember that these are stories made up for entertainment. He calls it “the Harry Potter Rule” and it basically says: we are all muggles, so be wary of magical solutions. We love magical solutions – the Four-Hour this, the Miraculously Simple that, the One-Minute Solution to anything. That’s not to say that some simple and brief things can’t be amazing – the 5-Minute journal, for example, is a wonderful tool. Sitting meditation is a pretty simple thing, too, regardless of how long you do it. When uncertainty becomes too threatening, there’s often an unwillingness to consider its consequences. Instead, people adopt optimistic attitudes that make light of potential downsides. …recognize both aspects of emotions by, first, thinking of emotional reactions as “data” or information that you can include with other information in analyzing your decision. In other words, list and think carefully about both the emotional and other considerations of your decision. Second, make a point of deferring your decision…until you have had time to consider it on more occasions. In this way, you’ll profit from seeing how sensitive your decision is to variations in the strength of your feelings. Here’s a simple example: let’s say you find a “get rich now” scheme online that looks good. Before laying down that down payment, check where you are in your own finances: is it the end of a pay period? I know that my tendency to like those kinds of articles is strongest when the bank accounts are lowest. Looking at the same offer right after payday? I’m far more likely to see the flaws, the unlikely claims, and the hucksterism that are often wrapped in them. We’re all muggles – and that’s ok. Muggles are AWESOME. Wands are for wimps. 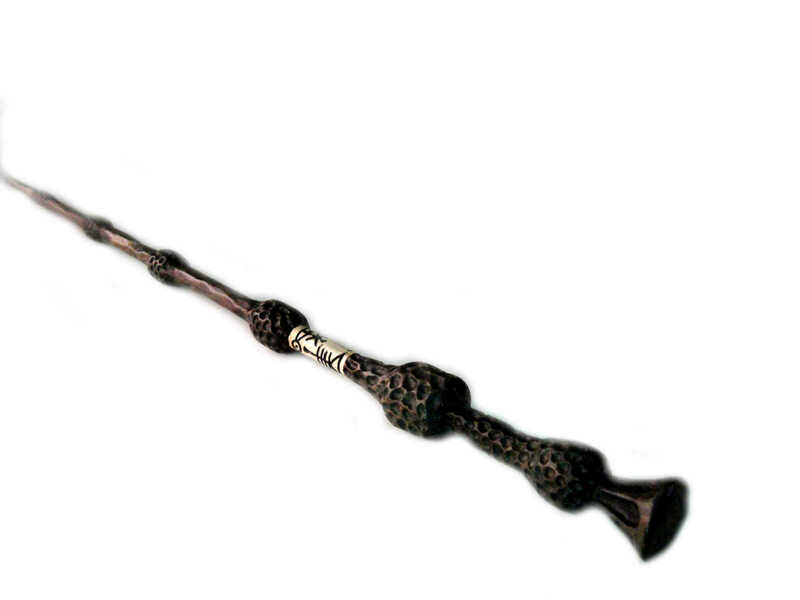 Image of “The Elder WandII” by Doug Kline – https://commons.wikimedia.org/wiki/File:The_Elder_Wand.jpg. Licensed under CC BY 2.0 via Commons. Like this post? Why not help support the blog by joining the Patreon! You mean this beautiful journal./planner/notebook I found isn’t going to magically organize and prioritize my life? It says “Tom Riddle” inside, maybe you’ve heard of it or are willing to review it?